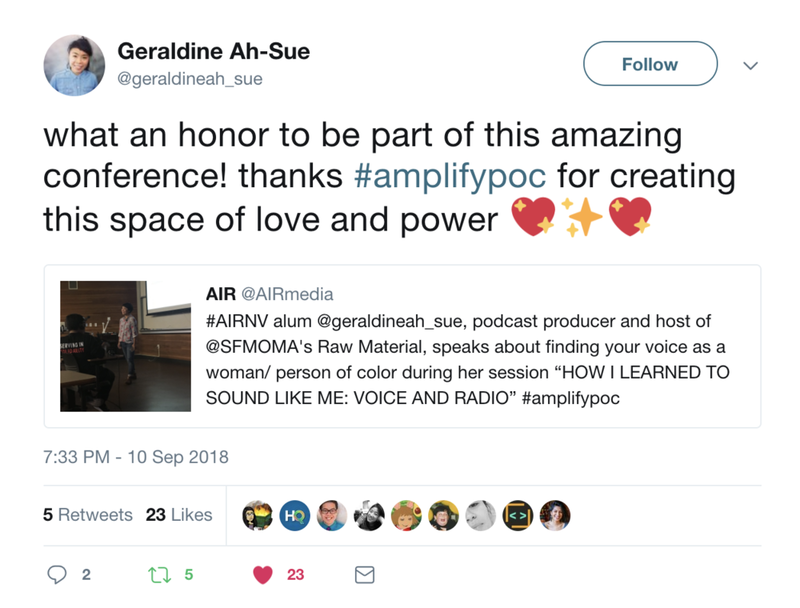 In 2018, I co-created Amplify, a two-day community-driven storytelling conference for people of color. The inaugural event took place in September 2018 at the University of California at Berkeley’s Graduate School of Journalism. See our website here for more details. 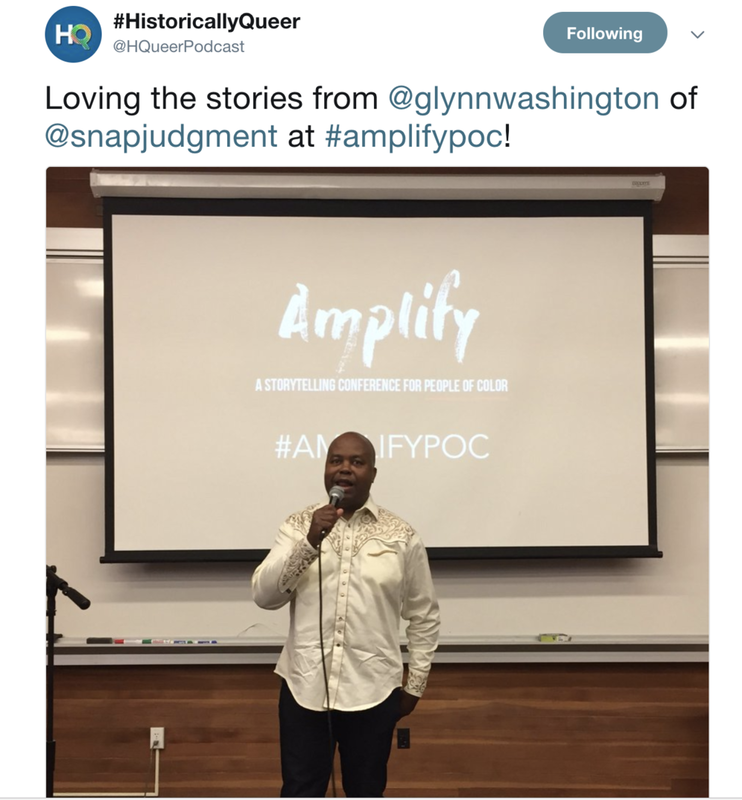 The event was an intimate community gathering featuring keynotes and workshops from Glynn Washington, Bernice Yeung, Helen Zia, Aimee Allison, Rhodessa Jones, and many more game-changing, boundary-pushing, storytellers of color. We recruited young volunteers from Oakland High School and showcased local artists and vendors (potters, poets, comic creators & illustrators, a WOC-centered collective, a pop-up clothing boutique, & an afro-futurist community newspaper). We were generously sponsored by AIR, KPCC In Person, and SF Film Fest. All sessions were live streamed and audio-recorded. Amplify was a 100% volunteer-run co-creation in collaboration with Diana Wong of Hirah Media and a robust community of family, friends, and lovers. We were itching for a space for people of color to talk race, storytelling craft, ethics, & social justice. A space to feel seen, heard, validated, held. So that’s the kind of space we tried to build.